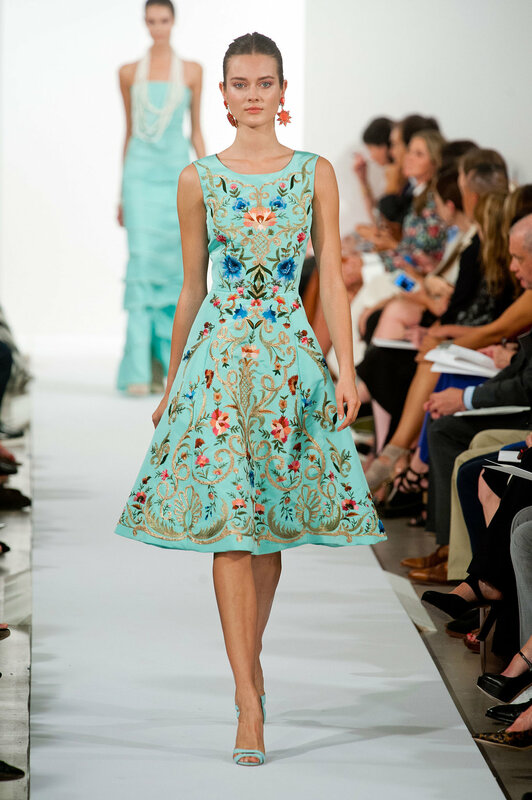 Our Design of the Week post has been tweaked to respect and pay tribute to the legendary Fashion Designer Oscar de la Renta who has died aged 82. The influential, ingenious designer was born in the Dominican Republic in 1932 and had left home by the age of 18 to study painting in Madrid, Spain. His love for fashion design blossomed from this early creative career move and soon after he began an apprenticeship with Spain's designer Cristobal Balenciaga. 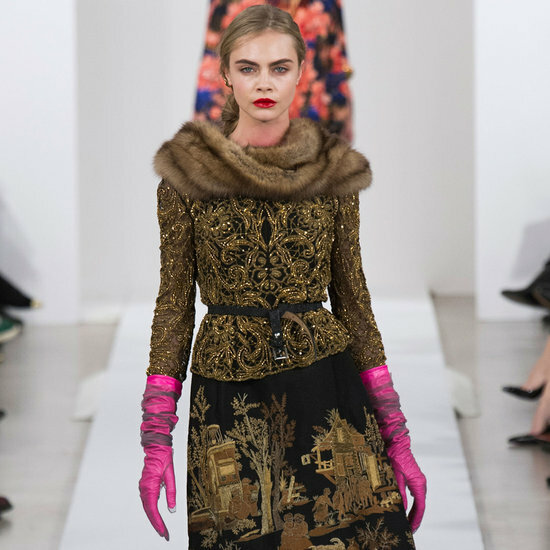 De la Renta made his name in the early 1960s when the then first lady, Jackie Kennedy, frequently wore his designs. Over the following decades he dressed nearly every first lady up to and including Michelle Obama, and recently designed Amal Alamuddin's wedding dress for her Venice marriage to George Clooney. 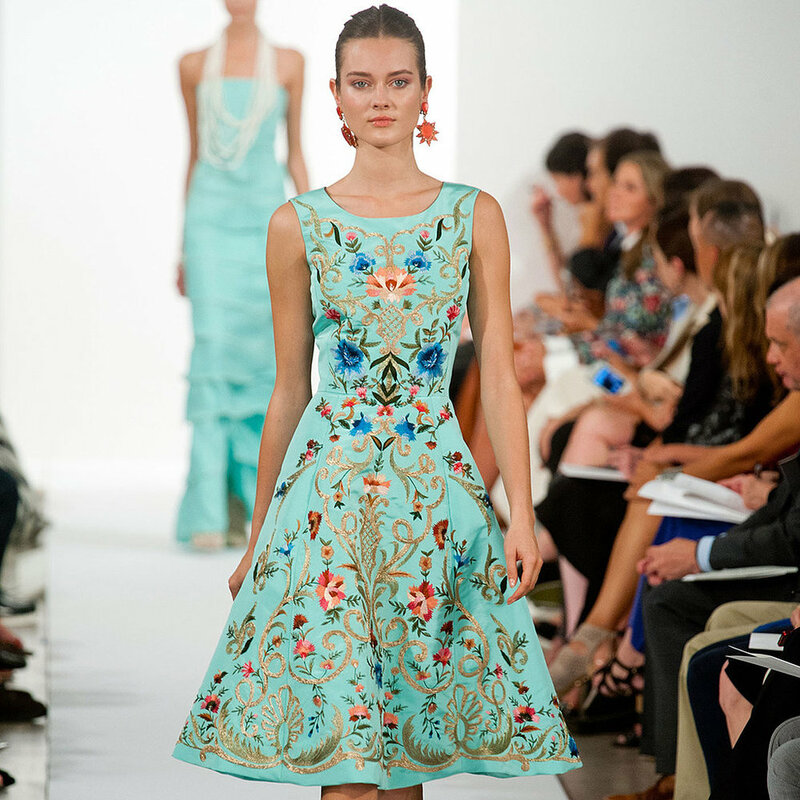 De La Renta's work is a spectacle of simplicity and elegance. Some of my favourite pieces are of his recent works during AW13 and SS14 which emulate the vibrancy of life through his seasonal colour and pattern inspirations. His signature works however with his exquisite embroideries and brilliantly vibrant colours will continue to inspire and embolden the future of the fashion industry.